One of the most celebrated conceptual artists working today, Bernar Venet’s extensive oeuvre is a culmination of intellectual rigour, artistic dexterity, and creative investigation of materials ranging from coal and asphalt to steel. Venet moved from France to New York in 1966, where he was instrumental in developing a radical new artistic language using mathematics and science alongside artists such as Lawrence Weiner and Joseph Kosuth. His success was celebrated with a retrospective at the New York Cultural Center when he was just 30 years old. His signature Arcs, Angles, Straight and Indeterminate Lines spring forth from intensive mathematical studies of chance and chaos. They can be traced through his work’s evolution from drawings, to reliefs in wood and, ultimately, his famous steel sculptures. 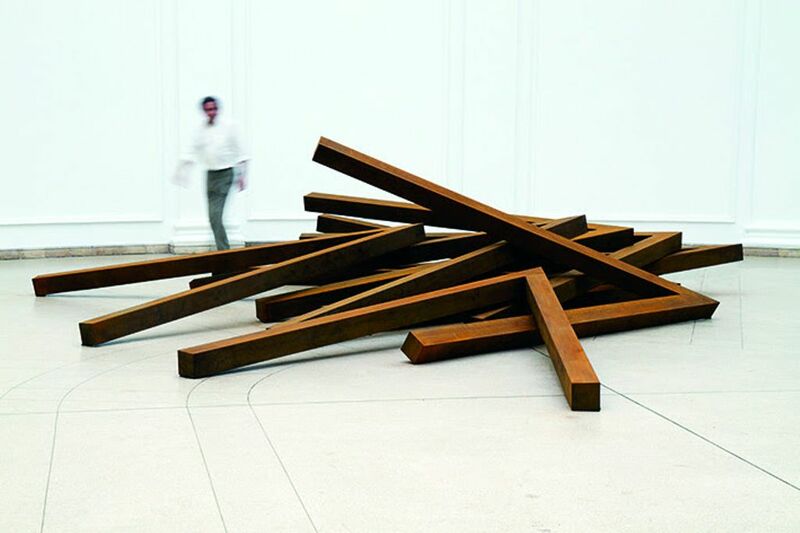 Throughout his career, Venet has employed a variety of genres including painting, photography, sound and performance to explore both material and form, as well as existential questions of perception, time and spatiality.